80a 8 716 105 033 0 / 173 091 Burner Injector  Natural Gas Stereomatic, Type 7, 4.3mm dia. 80b 8 716 140 209 0 / E00-741 Burner Injector  Propane Stereomatic, Type 7, 2.78mm dia. 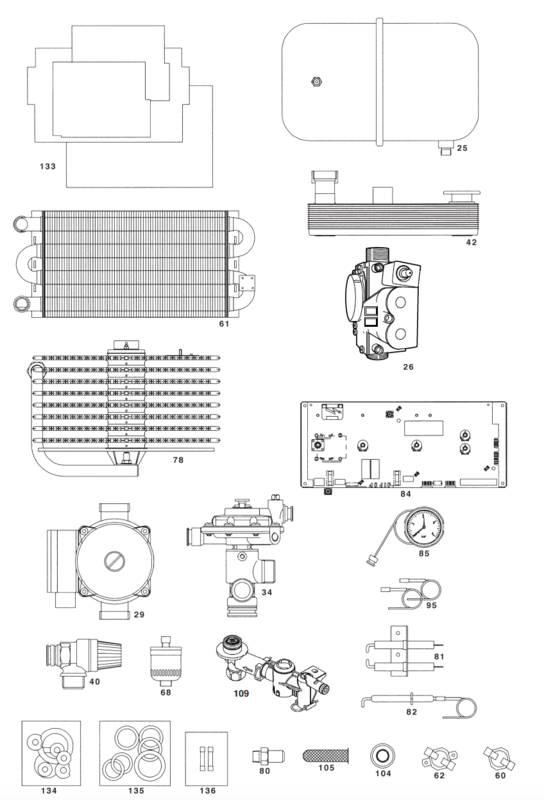 Worcester Bosch 24CDi boiler parts list and schematic is useful to find the replacement part you require.